Being involved in a car accident in Washington State can be confusing and scary, but you need to be ready to take the right actions no matter what the situation is. Never leave an accident scene. As a responsible driver, you must be ready to provide the help necessary following an accident and remain at the scene. Otherwise, you could face charges. Stop your vehicle as close to the accident as possible without causing a safety issue or stopping the flow of traffic. Assess the situation and keep calm. Take note of any other potential dangers, such as fire and the traffic pattern. Provide whatever assistance you can to other people injured in the accident and call 911 if anyone needs help. If you are injured, get yourself to a safe spot if you are able to move. If not, just wait where you are and try to remain calm. Call the police and wait for them to arrive. It’s important to get your side of the story into the official police report, but keep in mind that you do not want to tell the police anything you’re not sure of. Do not guess; your report will become part of your personal injury case later. The name, address and contact information of the other parties involved in the accident will be needed, along with their drivers’ license numbers, vehicle and license plate information, and their auto insurance information. If there were any witnesses, get their names and contract information as well. Take photos of the accident location, scene and the vehicles involved. If you are unable to do this yourself because you are injured, ask someone else to get the information and take the photos for you if possible. The information and photos will be useful for your case and should be given to your personal injury attorney. If law enforcement does not investigate your accident, you’re required to file a Collision Report with the Washington State Department of Transportation if the accident resulted in death or injury or involved property damage of at least $700. This report needs to be filed within four days of the crash. Failure to report the accident could result in the suspension of your license, even if the other driver offered to pay for your damages and asked you not to report it. This report has to include current and detailed information about your auto insurance, and the department will cross-check your provided information with the insurer you list. If the police were involved and you don’t need to file the report, you can get a copy of it to give to your personal injury attorney in Lynnwood from the local police department, Washington State Patrol or the county sheriff’s office. Report the accident to your auto insurance company. They need all the information, but you should not take any offered settlements from an auto insurer until you’ve spoken to an attorney about your case. Insurance companies are in the business of settling claims quickly as that means less resources and money spent on their part, but that can result in you receiving less compensation than you’re entitled to. If you are offered any type of settlement from an auto insurer, be sure to have it reviewed by your attorney. Car accidents can really impact your life on a personal and financial level. 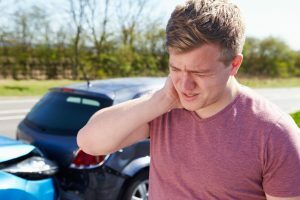 From damage to your car to time lost at work, medical bills and other things that can arise with permanent injuries, an accident can really do some damage beyond the immediately obvious. A personal injury attorney will review your case and help you move toward the best possible outcome for your situation. He or she will also guide you through the court system and help you handle insurance companies. When you’re injured and recovering, the last thing you’ll want to do is deal with insurers and other parties involved in the accident, and that’s also where your attorney comes in so you can focus on your recovery instead of your bank account and paperwork. If you need a personal injury attorney or have additional questions, contact Feldman & Lee today.